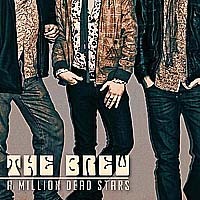 Interview The Brew August 2011: The Brew is a UK Classic Power Rock Trio. Jason Barwick and father/son team Tim and Kurtis Smith began playing together almost five years ago and have steadily expanded their audience through a series of successful tours and TV performances. The band has no defined hierarchy, and don't need one. Each member brings his own incredible asset to the musical experience, whether it's Jason's jaw-dropping guitar artistry, Kurt's explosive drums or Tim's majestic charisma, the band perform as one perfectly synchronised unit. - Your debut album, feelings about it? errrr let the fans decide that one..
2007 Fate and Time E.P. - The story behind this release? We just wanted to put down a few songs we had at the time and use it as promo material we did it in 3 days. - In general what do you think about the album? Great memories, it really showed us what was possible with the band. It gave us enormous confidence. All of them, but The Joker and the hidden track which became an integural part of the current set, Ode to Eugene. We took our Vespas to Belgium to sight see during the off time, I recall Kurt wrapping a very large Union Jack flag around himself with no clothes on underneath and taking off down the street on his vespa, the flag now flying behind him asit became undone. I think Mr Jack D had an iffluence on that night. For the first time we had an album that was in our eyes a complete article. It put us on the map and was recieved with enthusiasm, I defined the band at that time and gave us an Identity. We were very pleased with it. Long nights and no sleep we did the whole thing in 5 days. - Your upcoming album (August 26th), feelings about it? Very exciting, we have been working towards this for 7 years, after the last album we gained so much experience that it shows in the new songs. Time will tell, right now, "reacheed the Sky" which is going to be available for free download soon, Sirens of War, but as always, all of them! Late nights and no sleep...did I say that already? Kurt playing football in the garden at the studio, falling and twisting his ankle on the third day, genius! Fortunately it was not serious! Jason working into the early hours with his vocals, going places he didnt know he could find. - How did you get together? Well Kurt is my son and we saw Jason playng in a local bar in our home town, we were blown away he was just 14 at the time! our guitarist of time had just left so we invited Json to join, he had heard of the band at that point as we were allready building quite a good reputation in our home town and he was keen to move away from the blues scene into more of the "rock" area, it was just great timing. - Describe the sort of music! Classic rock with a modern twist, is there a catagory for that in the record shops? 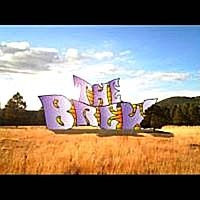 - What is the meaning of the band's name, The Brew? 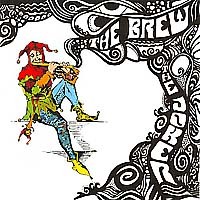 Nothing other that originally we were called Stange Brew, but everyne used to say thing like were are going to see the brew tonight, so we just dropped the strange bit! 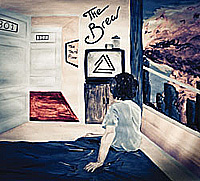 - First Concert,with The Brew, where/when? With Jason At a town close to grimsby in a bar, where we played to around 10 people including bar staff! - Which songs do you like performing live mostly and why? All of them! every night is different! By Planning to do one gig a month! then it just kept on growing after 4 years we were doing 3 month tours!It took on a life of its own! What was your first music instrument? Bass, then I took up Bass and I am now considering learing to play the Bass. For Kurt he started by playing guitar after finding a broken one in a bin near where we live. He brought it home restored it and then started trying to play it. He soon thugh found an interest in the Drums. His grandfather was in a jazz dance band in the war years as a drummer, so i guess he gets his talent from him!. Jason has always played guitar from the age of 4, in fact I think he came from the womb holding one! For all of us o,f course the obvious "greats" Led Zeppelin, The Who, Hendrix, Pink Floyd, but also bands like Kula Shaker, Wolfmother, CSNY, Jeffeson Airplane, Stevie Ray, Rage against the machine. To be honest the list is almost endless! List five bands/artists that you like the most and why! Hendrix - genious and innovation whithout him where would guitarists be? The Who for their live performance and raw energy for us what Rock n Roll is about. Led Zeppelin for the whole rock thing, interms of excess, the way the business is done and their sheer genius. Pink Floyd for innovation, certainly in the earlier years pre Wish you were here, and again for creating a whole style. For albums there are just so many to list and them we would have forgotten some! For us 60's-mid 70's Its when for us it was all so new. It seems that all the people who are now sited as being thier inspiration came form this era. I think this says such a lot about what was going on in this time. Maybe the internet has made music a little throw away? maybe it dosnt hold the value it once did, the release of an album back then was realy quite somthing, perhaps this helped build the almost mythical status of some artisit and bands as unlike today it was not so easy to access video footage and music of your favourite band/artist. I think also that people were prepared to listen to the musicians playing thier instruments,and would listen to 10 minute pieces and extended guitar solos and improvised jamming and appalude it as works of art! Your dream band (living or dead ;), who would they be, vocal/bass/drums/keyboard/lead guitar/rhythm guitar/producer? A band dosnt have to be made up of supersatrs, they are just made up of regular guys who go on to create somthing special with the chemistry the find together. So many "super groups" have failed. The best line ups are the bands who produce the great albums. Besides can you have 3 lead singers and 3 or 4 guitarists, bass players and drummers in one band? Of the songs that you have composed, which of them are your favourites? Well I think we all agree that, K.A.M is probably top of our list but in the end its for the fans to choose thier favourites, for us every song has a special meaning as they were all born out on the road, all with a story to tell and when we play them or hear them it brings those memories back for us. Certainly the new album due August 26th holds many exciting new tracks for us, we are very proud of what we have achieved on the new album and cant wait to start playing them live. Marshall amps, for Guitar and the Bass Fender and Gibson guitars and a selection of effects pedals but really not so many. Ludwig snare and a custom built drum kit. Quite simple and standard really. Ahhhh time off right now! we have been on the road and studio since January 15th. We have a number of festivals and the tours start again in mid October so we are all offdoing our own thing and bascially being boring! Well, I think Kurt is in permanent party mode, but then he would be, he's a drummer! Your first band, name and when did it began?? Well for all of us this the first serious band. 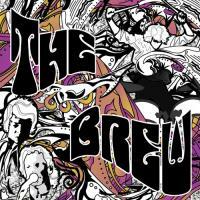 The Brew formed around 7 years ago. Jason is probably the only one who has been in several local bands before that. Kurt of course has always been just in The brew and me also. I was in local bands before this some years ago. What was the intention with the band? To have fun, enjoy what we do, see how far we could take it. Many Thanks to Tim Smith for this interview!